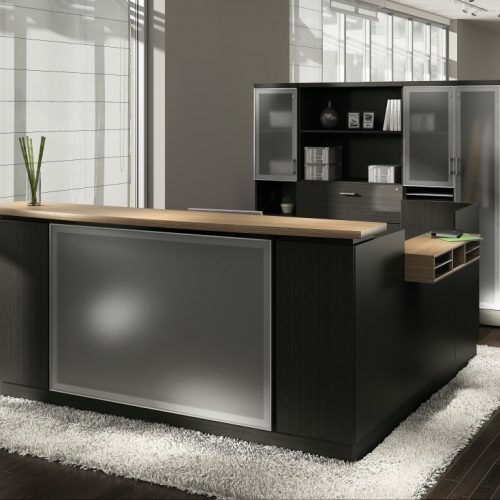 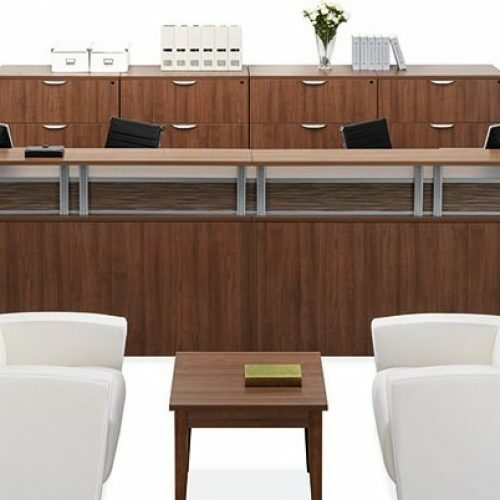 Reception desks make an immediate statement for your customers walking in your front door, whether internal or external ones. 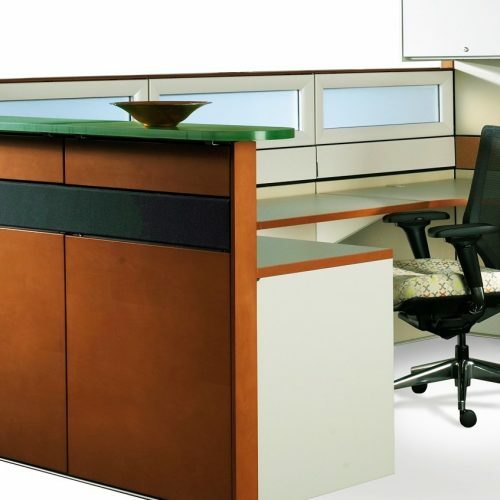 What kind of message do you want to send? 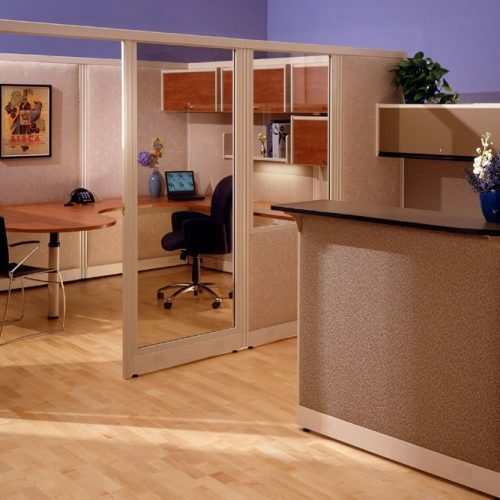 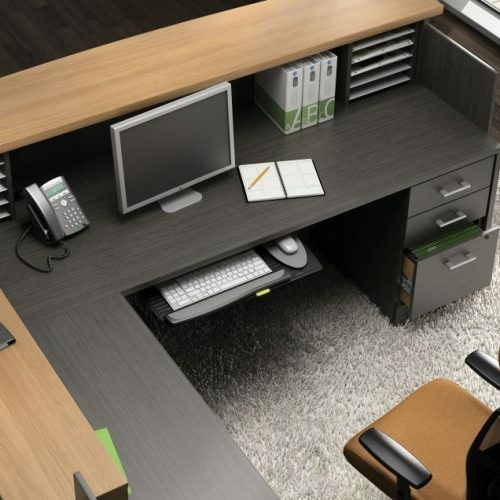 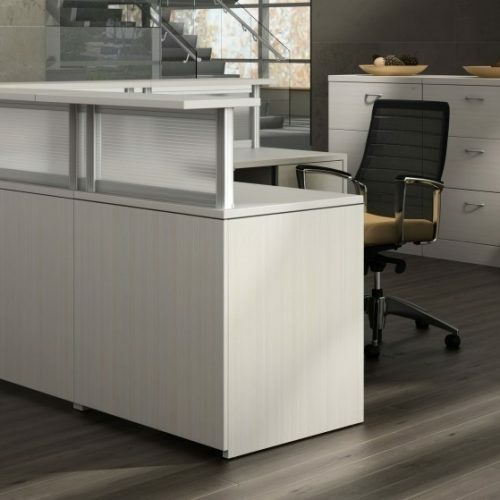 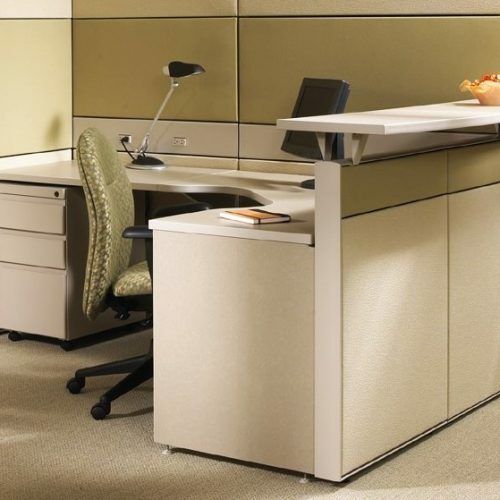 Cubicles Plus Office Furnishings will help you convey a statement of professionalism, class, and efficiency. 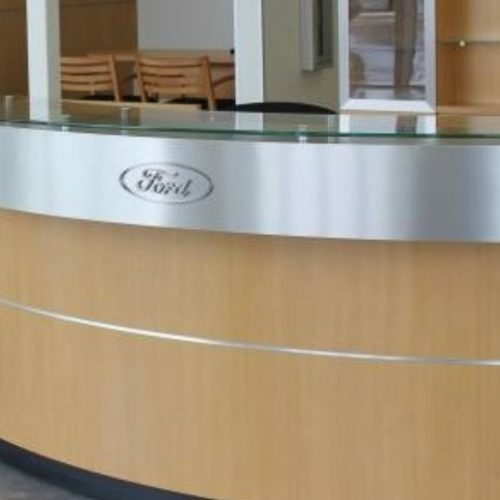 Reception desks can also augment your corporate branding and messaging. 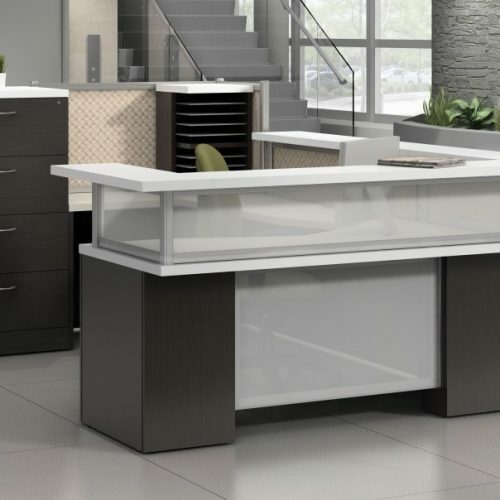 CPOF also ensures that your reception desk is functional and accommodates the work requirements of the individuals in this vital area of your office. 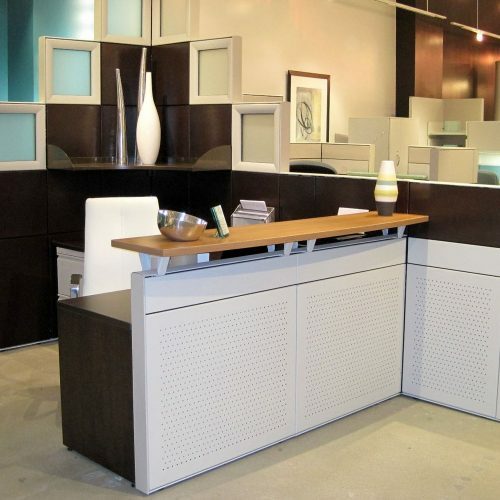 But when a very specific look and feel is required, custom design/build services can be provided to develop the perfect reception area.